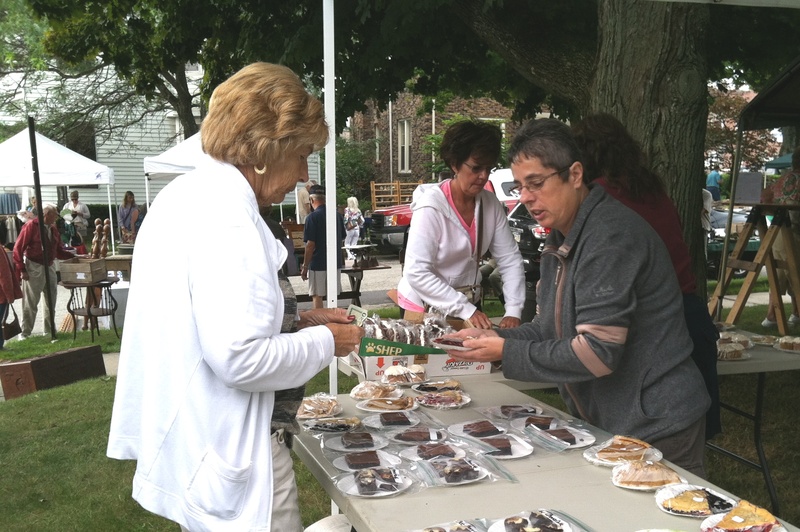 In 2014, our food booth at the Somerset Antique Show in August raised over $2,500 which was divided between the Relay for Life team and the Senior Youth Group. 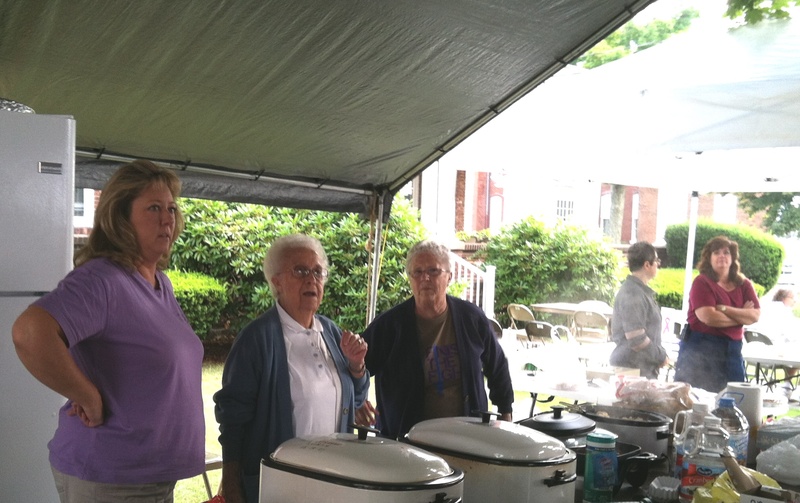 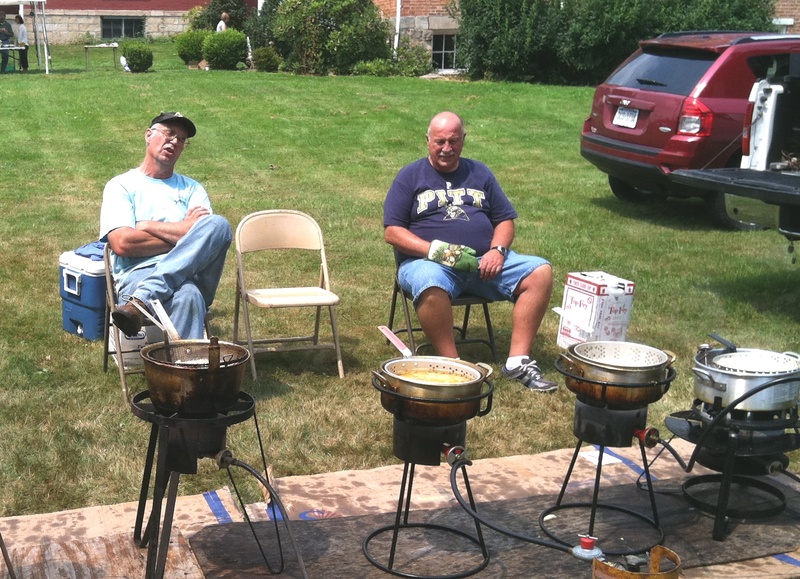 Approximately 260 pounds of fries were cooked and sold. 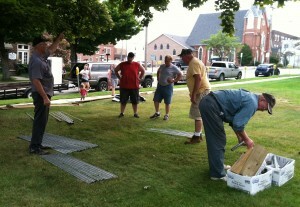 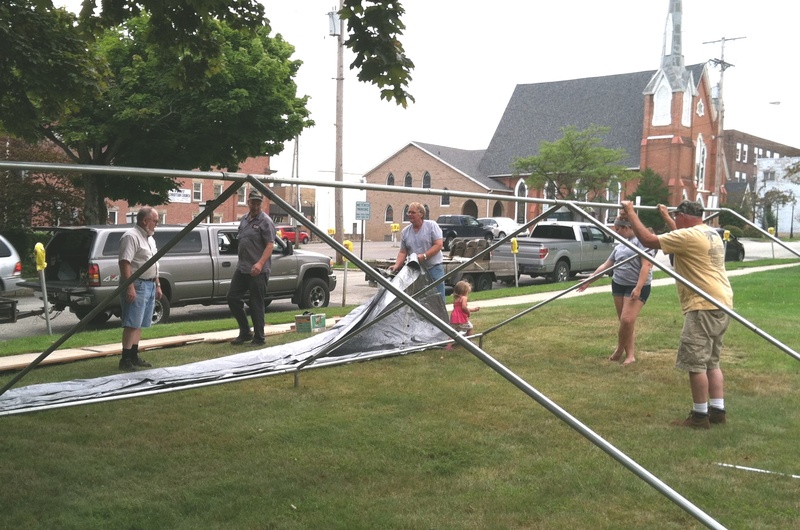 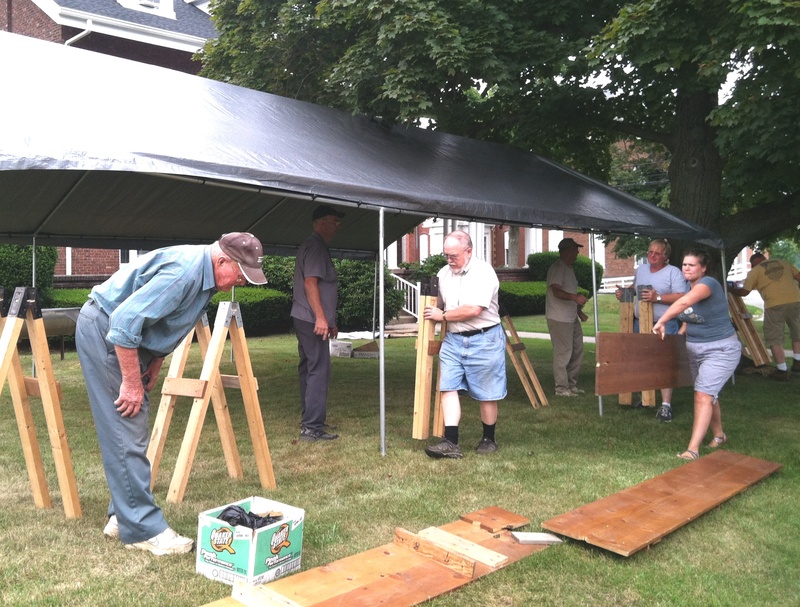 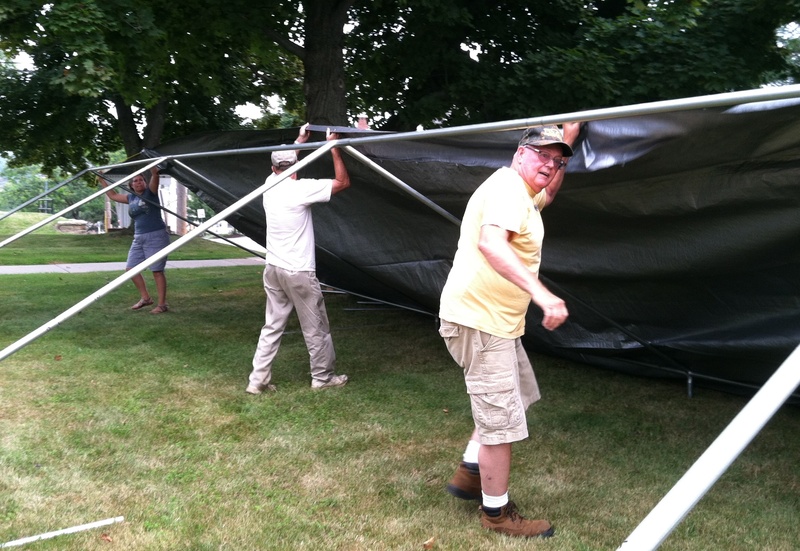 Giving directions for the tent setup. The tarp goes over the frame. The ladies wait to fill sandwich orders. 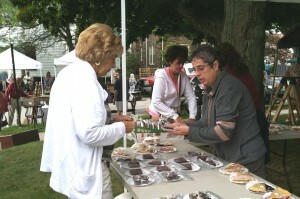 Lots of baked goods for sale. The two “Dave’s” watch the fryers. 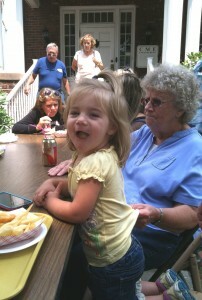 A young church member enjoys some fries with her great-grandma.